Neighbourhood gem is a term that gets thrown around a lot these days but the cliché really is true when it comes to Perth Italian restaurant, La Lola. A long-time fave of the Nedlands dining scene, the restaurant recently reopened after a two-year hiatus and not surprisingly, its been attracting a steady stream of Perth punters in search of the fresh, tasty and deeelicious flavours being dished out. 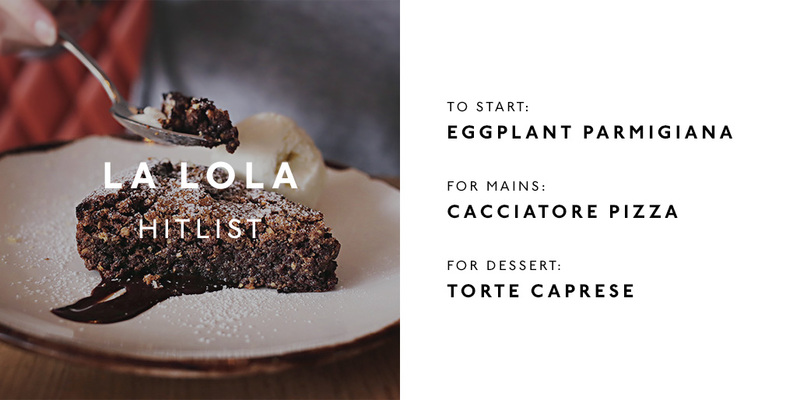 The brainchild of owner Michael De Marte, La Lola has a traditional yet buzzy ‘bistro’ feel and is exactly what casual Italian dining should be about—great food, excellent service and a cosy setting perfect for whiling away a red wine-fuelled night. Now the important bit, the food. Before you even think about pizza or pasta, do yourself a favour and order the eggplant parmigiana from the share menu (side note: the share menu is brimming with goodness). Oozing with flavour, I would have been quite content eating two more serves of that parmigiana and calling it a night but alas, I had ‘research’ to do. Lucky I did, because the next cab off the rank—the cacciatore pizza—was scrumptious. I’m allll about the thin crust Roman-style pizza and La Lolas hit the mark. The gnocchi, made fresh-in house and served with tomato sugo, pecorino, basil and fior di latte (a mozzarella-style cheese) was also melt-in-your mouth delicious. Let’s just say there wasn’t a plate we didn’t lick clean. If pizza and pasta aren’t your thing then a) what sort of monster are you? 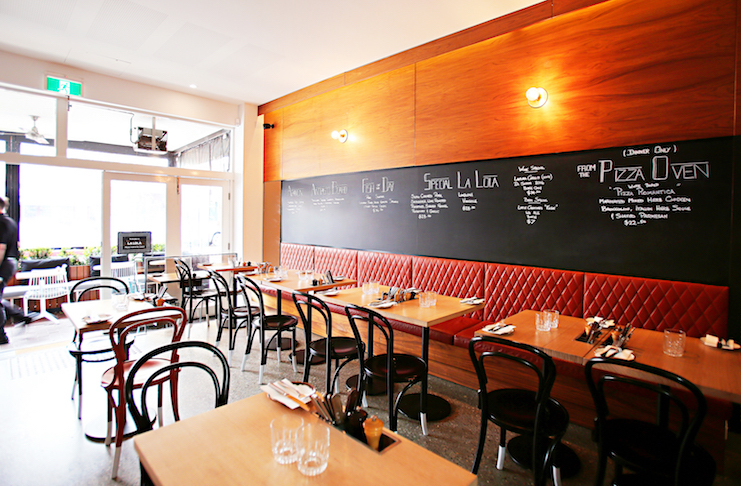 and b) a very lucky one, cos La Lola has got some pretty special dishes on the menu to cater for you. Think osso buco, meatballs, pork belly and grilled fish. There’s also gluten-free pizza available if that’s your thing. My tip for you? Find another stomach for dessert. I inhaled a decadent torte caprese but I’d suggest ordering a couple of dishes off the dessert menu (the tiramisu looked freaking amazing) and having a fork fight with your table. La Lola is as perfect for group dinners as it is for date night, and you can also get your gang together and book the new private dining room (aptly named Gina) which seats 20 people. It’s also BYO Monday to Wednesday AND they do a bangin’ aperitivo hour at 5pm every Friday. Yes, please. In a city that has had its fair share of flashy openings of late, it’s heartening to see a local restaurant doing what it loves and doing it bloody well. Welcome back, La Lola!